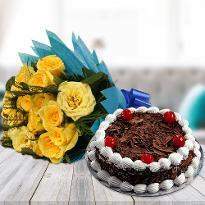 With our online midnight cake delivery option, you can send cake to Agra at midnight to surprise your beloved ones on their birthday or any other special day. Winni have a plethora of option to choose from and these sweet delicacies are freshly baked to satisfy the sweet tooth of your near and dear ones. Feel free to order midnight cake for the birthday celebration, anniversary celebration and many more. Now there is no restriction on delivery of cakes for midnight in Agra as we guarantee the delivery of cake between 11 PM to 12 AM. 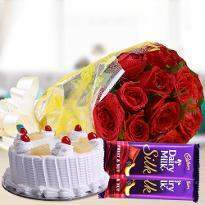 People can send the surprise to their relative at midnight and make them feel exotic and important. This is the best way to get involved in the special moments of family and reduce the boundaries of being far away from the family. The surprise will definitely make up the mood and will influence the relation. Happiness, Enjoyment, love or gratitude, cakes convey everything to the perfection. Send your wishes and blessing to your near and dear ones by ordering and sending midnight cake to your special one from Winni. The sweet and scrumptious offerings definitely spread glee and happiness in every occasion and celebration. Baked with unconditional love and utmost perfection, these sugary delights are a sight to behold and heavenly to devour. So, order and send cake to Agra at midnight to cheer your loved ones on their special day! Cakes have been the most amazing gift. They are the luscious treats that can drool the taste buds of near and dear ones. Cakes are the party makers and when it comes to midnight celebration then you can't even imagine the how much fun the magical power of cakes can add! 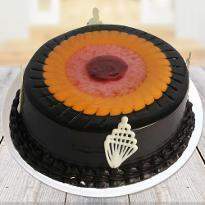 Winni provides online midnight cake delivery in Agra so that you can add thrill to the celebration. Some of the most demanded cakes are black forest, pineapple, red velvet, blueberry, black currant, vanilla, pineapple, chocolate, strawberry and many more. 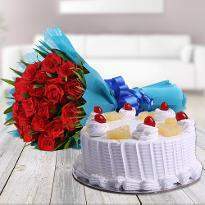 You can also surprise your sweetheart at midnight by sending a delectable cake to their doorstep from Winni. Winni ensures that your cake will be delivered right to the doorstep of your sweetheart at midnight. Cakes at Winni are available in different flavors, sizes as well as designs so that you can buy according to your desire. If it's the birthday of your kid and you want to order a cartoon cake for your kids then we also provide a variety of cartoon cakes so you can order easily to heighten the birthday celebration of your kids.